Life kicked me in the gut Friday. So I responded the only way I know how … by catching my breath and swinging back. And if I’ve learned one thing in the past seven months (man, has it really been that long since my job was eliminated and I was downsized?) it’s that you never know what’s around the corner. At 2:14 p.m., an email arrived to let me know I had come in second for another job. Nothing really new about that. And if there is a silver lining, it may be that second is the closet I’ve come yet to finding a new job. Baby steps, right? Of course, I was disappointed and upset. Then, at 3:31 p.m., I received another email. The sender’s message really cheered me up. I still have some job prospects in the works. Something good is out there with my name on it. I just have to find it — a fact that becomes harder to remember every time another rejection arrives in the mail. But with every rejection, I become clearer about what I want: Something that is personally enriching even if it doesn’t make me rich. For what it’s worth, that’s kind of how I always viewed my old job. And I really like the idea of working to help make Muscatine a better place. It will happen when it’s meant to happen. After a disappointing afternoon, I found some solace in familiar places. 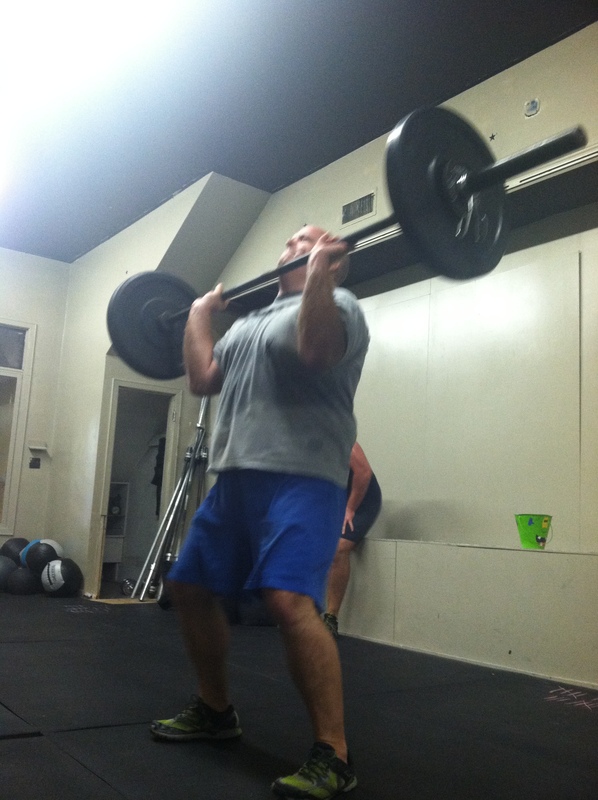 My friends at Warrior Crossfit Muscatine gave me a good beating. We were supposed to do six rounds of five repetitions of the Curtis P. workout, along with some other stuff. We had 33 minutes. Since I am nowhere nearly as good at it (or look as good, for that matter) as the guy in the video, I only finished five rounds. But it was still a good workout and did a great deal to help my mood. After working out, I joined up with some friends from the Melon City Bike Club for some fellowship around a bonfire. To be honest, it sometimes seems these days as if my life is in a toilet. But I’m going to eventually emerge as a better person in a better spot than the one I used to occupy. And it will be due, in no small part, to the support I’ve received from the friends I worked out with and/or socialized with Friday night. One thing no one can take away from me is the group of friends I’ve made in Muscatine and elsewhere. No one should worry too much. I may have taken a good punch Friday, but I’m already standing and swinging back. 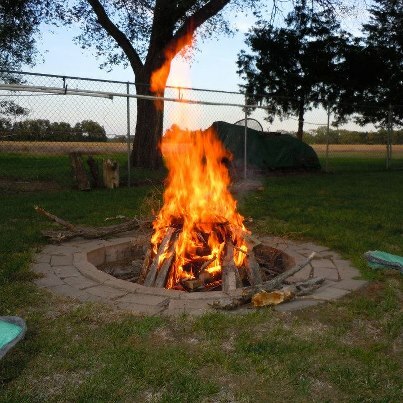 There’s just hardly anything that a good bonfire can’t fix!